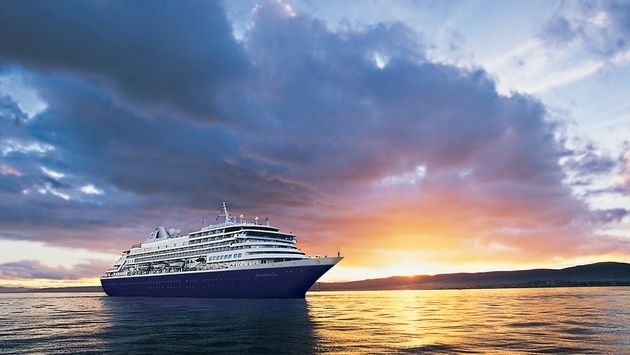 Holland America Line has revised the Noordam’s spring and summer 2014 program to avoid calls to Egypt and other potential trouble spots in the Middle East. The ship now will sail in central and western Mediterranean itineraries, including several longer voyages. Now, from April through October, the ship will sail between Rome and Barcelona or Venice. The 11-day itineraries feature a combination of calls in Spain, France, Italy, Malta, Monaco, Tunisia, Greece, Croatia, Montenegro and Turkey. Guests can combine two or three back-to-back voyages into a 22- or 33-day Collectors’ Voyage. Departing April 4, May 18, July 1 and Aug. 14, the “Mediterranean Explorer” sails from Barcelona to Rome. 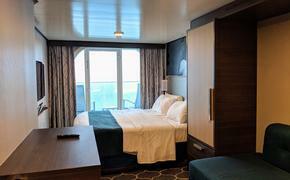 The cruise begins with an overnight at Barcelona and continues on to Marseille, France; Monte Carlo, Monaco; Calvi, Corsica; Livorno (Florence/Pisa), Italy; La Goulette (Tunis), Tunisia; and Palermo and Naples, Italy. The ship sails the reverse itinerary, ending with an overnight at Barcelona, on May 7, June 20, Aug. 3 and Oct. 8. The “Adriatic Dream” itinerary departs April 15, May 29, July 12 and Aug. 25 from Rome and sails to Venice for an overnight before disembarking. The ship calls at Messina, Sicily; Valletta, Malta; Argostolion and Kerkira (Corfu), Greece; Kotor, Montenegro; and Dubrovnik, Korcula and Split, Croatia. The “Mediterranean Dream” cruise departs April 26, June 9, July 23 and Sept. 5 from Venice and sails to Rome. This itinerary features six calls in the Greek Isles, including Katakolon (Olympia), Navplion, Piraeus (Athens), Mykonos, Rhodes and Santorini. The ship also calls at Kusadasi, Turkey, home to Ephesus, and Naples, Italy. The Sept. 16 “Venetian Adventure” voyage sails round-trip from Rome with an overnight at Venice mid-voyage. The ship also calls at Messina, Valletta, Kotor, Split, Dubrovnik and Corfu. A “Mediterranean Dream” round-trip from Rome departs Sept. 27 and calls at Katakolon, Navplion, Athens, Mykonos, Kusadasi, Rhodes, Santorini and Naples.